Experimental evolution of Methylobacterium: fifteen years of planned experiments and surprise findings. Current Issues in Molecular Biology. In press (2019). Harcombe WR, Chacón JM, Adamowicz EM, Chubiz LM, Marx CJ. Evolution of bi-directional costly mutualism from byproduct consumption. Hynes WF, Chacón JM, Segrè D, Marx CJ, *Cady NC, *Harcombe WR. Bioprinting microbial communities to examine interspecies interactions in time and space. A decade of genome sequencing has revolutionized studies of experimental evolution. Hardy RW, Patro, B, Pujol-Baxley C, Marx CJ, Feinberg L.
Dalia TN, Hayes CA, Stolyar S, Marx CJ, McKinlay JB, Dalia AB. Multiplex genome editing for synthetic biology in Vibrio natriegens. Growth tradeoffs accompany the emergence of glycolytic metabolism in Shewanella oneidensis MR-1. Douglas SM, Chubiz LM, Harcombe WR, Marx CJ. Identification of the potentiating mutations and synergistic epistasis that enabled the evolution of inter-species cooperation. Caglar MU, Houser JR, Barnhardt CS, Boutz DR, Carroll SM, Dasgupta A, Lenoir WF, Smith BL, Sridhara V, Sydykova DK, Vander Wood D, Marx CJ, Marcotte EM, Barrick JE, Wilke CO. The E. coli molecular phenotype under different growth conditions. Tlusty MF, Rhyne AL, Szczebak JT, Bourque BD, Bowen JL, Burr G, Marx CJ, Feinberg L.
A transdisciplinary approach to the initial validation of a single cell protein as an alternative protein source for use in aquafeeds. *Bradley AS, *Swanson PK, Muller EEL, Bringel F, Carroll SM, Pearson A, Vuilleumier S, Marx CJ. Hopanoid-free Methylobacterium extorquens DM4 overproduces carotenoids and has widespread growth impairment. Douglas SM, Chubiz LM, Harcombe WR, Ytreberg FM, Marx CJ. Parallel mutations result in a wide range of cooperation and community consequences in a two-species bacterial consortium. Harcombe WR, Betts A, Shapiro JW, Marx CJ. Adding biotic complexity alters the metabolic benefits of mutualism. Michener JK, Vuilleumier S, Bringel F, Marx CJ. Transfer of a catabolic pathway for chloromethane in Methylobacterium strains highlights different limitations for growth with chloromethane or with dichloromethane. Nayak DD, Agashe D, Lee M-C, Marx CJ. Selection maintains apparently degenerate metabolic pathways due to tradeoffs in using methylamine for carbon versus nitrogen. Agashe D, Sane M, Phalnikar K, Diwan GD, Habibullah A, Martinez-Gomez NC, Sahasrabuddhe V, Polachek W, Wang J, Chubiz LM, Marx CJ. Large-effect beneficial synonymous mutations mediate rapid and parallel adaptation in a bacterium. Houser JR, Barnhart C, Boutz DR, Carroll SM, Dasgupta A, Michener JK, Needham BD, Papoulas O, Sridhara V, Sydykova DK, Marx CJ, Trent MS, Barrick JE, Marcotte EM, Wilke, CO. Controlled measurement and comparative analysis of cellular components in E. coli reveals broad regulatory changes in response to glucose starvation. Carroll SM, Chubiz LM, Agashe D, Marx CJ. Parallel and divergent evolutionary solutions for the optimization of an engineered central metabolism in Methylobacterium extorquens AM1. Experimental horizontal gene transfer of methylamine dehydrogenase mimics prevalent exchange in nature and overcomes the methylamine growth constraints posed by the sub-optimal N-methylglutamate pathway. Chou H-H, Marx CJ, Sauer U.
Transhydrogenase promotes the robustness and evolvability of E. coli deficient in NADPH production. After horizontal gene transfer, metabolic pathways may need further optimization. Escalante-Chong R, Savir Y, Carroll SM, Ingraham JB, Wang J, Marx CJ, Springer M.
Galactose metabolic genes in yeast respond to a ratio of galactose and glucose. Effective use of a horizontally-transferred pathway for dichloromethane catabolism requires post-transfer refinement of the host. Methylamine utilization via the N-methylglutamate pathway in Methylobacterium extorquens PA1 involves a novel flow of carbon through C1 assimilation and dissimilation pathways. Genetic and phenotypic comparison of facultative methylotrophy between Methylobacterium extorquens strains PA1 and AM1. Phylogeny poorly predicts the utility of a challenging horizontally-transferred gene in Methylobacterium strains. *Harcombe WR, *Riehl W, Dukovski I, Granger BR, Betts A, Lang AH, Bonilla G, Kar A, Leiby N, Mehta P, Marx CJ, Segrè D.
Metabolic resource allocation in individual microbes determines ecosystem interactions and spatial dynamics. Plucain J, Hindré T, Le Gac M, Tenaillon O, Cruveiller S, Médigue C, Leiby N, Harcombe WR, Marx CJ, Lenski RE, Schneider D.
Epistasis and allele specificity in the emergence of a stable polymorphism in Escherichia coli. *Carroll SM, *Lee M-C, Marx CJ. Sign epistasis limits evolutionary trade-offs at the confluence of single- and multi-carbon metabolism in Methylobacterium extorquens AM1. Chou H-H, Delaney NF, Draghi JA, Marx CJ. Mapping the fitness landscape of gene expression uncovers the cause of antagonism and sign epistasis between adaptive mutations. Metabolic erosion primarily through mutation accumulation, and not tradeoffs, drives limited evolution of substrate specificity in Escherichia coli. Carroll SM, Xue KS, Marx CJ. Laboratory divergence of Methylobacterium extorquens AM1 through unintended domestication and past selection for antibiotic resistance. Harcombe WR, Delaney NF, Leiby N, Klitgord N, Marx CJ. The ability of flux balance analysis to predict evolution of central metabolism scales with the initial distance to the optimum. Chubiz LM, Purswani J, Carroll SM, Marx CJ. A novel pair of inducible expression vectors for use in Methylobacterium extorquens. Delaney NF, Kaczmarek ME, Ward LM, Swanson PK, Lee M-C, Marx CJ. Development of an optimized medium, strain and high-throughput culturing methods for Methylobacterium extorquens. Evolution after introduction of a novel metabolic pathway consistently leads to restoration of wild-type physiology. Synchronous waves of failed soft sweeps in the laboratory: remarkably rampant clonal interference of alleles at a single locus. Can you sequence ecology? Metagenomics of adaptive diversification. Xi Z, Wang Y, Bradley RK, Sugumaran M, Marx CJ, Rest JS, Davis CC. Massive mitochondrial gene transfer in a parasitic flowering plant clade. Agashe D, Martinez-Gomez NC, Drummond DA, Marx CJ. 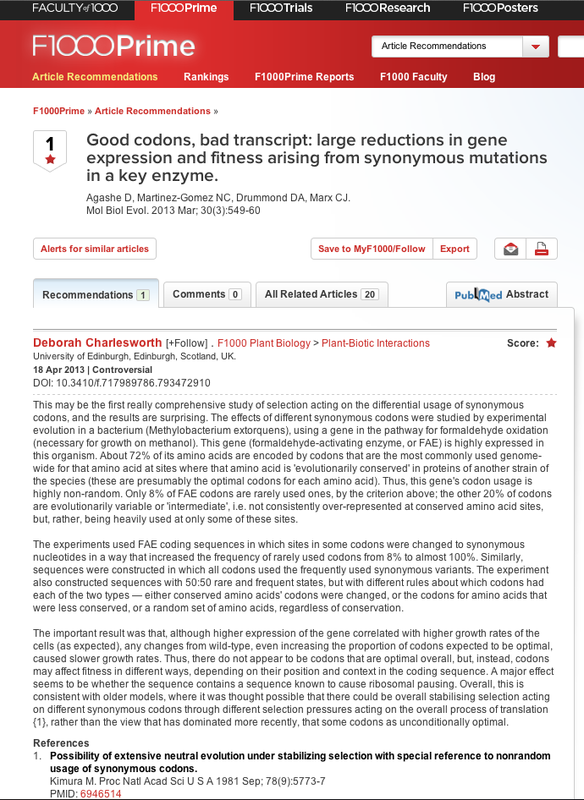 Good codons, bad transcript: large reductions in gene expression and fitness arising from synonymous variants in a key enzyme. *Delaney NF, *Rojas Echenique JI, Marx CJ. Clarity: an open source manager for laboratory automation. *Chubiz LM, *Lee M-C, Delaney NF, Marx CJ. 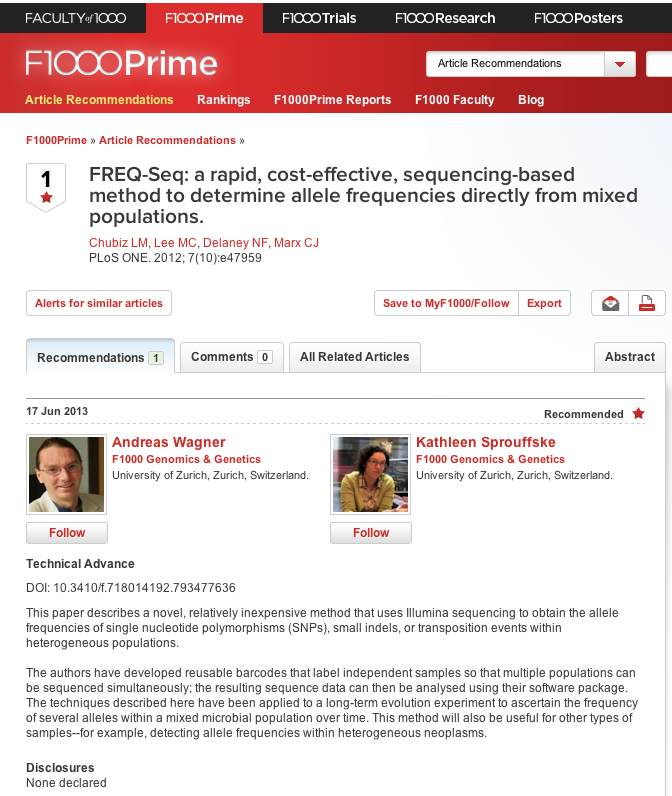 FREQ-Seq: a rapid, cost-effective, sequencing-based method to determine allele frequencies directly from mixed populations. Leiby N, Harcombe WR, Marx CJ. Multiple long-term, experimentally-evolved populations of Escherichia coli acquire dependence upon citrate as an iron chelator for optimal growth on glucose. *Robinson DG, *Lee M-C, Marx CJ. OASIS: An automated program for global investigation of Bacterial and Archaeal insertion sequences. Chiu H-C, Marx CJ, Segrè D.
Epistasis from functional dependence of fitness on underlying traits. Marx CJ, Bringel F, Chistoserdova L, Moulin L, Ul Haque MF, Fleischman DE, Gruffaz C, Jourand P, Kneif C, Lee M-C, Muller EEL, Nadalig T, Peyraud R, Roselli S, Russ L, Goodwin LA, Ivanova N, Kyrpides N, Lajus A, Land ML, Médigue C, Mikhailova N, Nolan M, Woyke T, Stolyar S, Vorholt JA, Vuilleumier S.
Complete genome sequences of six strains of the genus Methylobacterium. Recovering from a bad start: rapid adaptation and tradeoffs to growth below a threshold density. Repeated, selection-driven genome reduction of accessory genes in experimental populations. Delaney NF, Balenger S, Bonneaud C, Marx CJ, Hill GE, Ferguson-Noel N, Tsai P, Rodrigo A, Edwards SV. Ultrafast genome evolution and loss of CRISPRs following host shift in a novel wildlife pathogen, Mycoplama gallisepticum. Optimization of gene expression through divergent mutational paths. Regulatory revolution: evolving the “anti-Lacl” repressor. Chou H-H, Chiu H-C, Delaney NF, Segrè D, Marx CJ. Diminishing returns epistasis among beneficial mutations decelerates adaptation. Bradley AS, Pearson A, Sáenz JP, Marx CJ. Adenosylhopane: the first intermediate in hopanoid side chain biosynthesis. Introduction to Focus Issue: genetic interactions. Gudelj I, Weitz JS, Ferenci T, Horner-Devine MC, Marx CJ, Meyer JR, Forde SE. An integrative approach to understanding microbial diversity: from intracellular mechanisms to community structure. Chou H-H, Berthet J, Marx CJ. Fast growth increases the selective advantage of a mutation arising recurrently during evolution under metal limitation. Lee M-C, Chou H-H, Marx CJ. Assymetric, bi-modal tradeoffs during adaptation of Methylobacterium to distinct growth substrates. Getting in Touch with Your Friends. Vuilleumier S, Chistoserdova L, Lee M-C, Bringel F, Lajus A, Zhou Y, Gourion B, Barbe V, Chang J, Cruveiller S, Dossat C, Gillett W, Gruffaz C, Haugen E, Hourcade E, Levy R, Mangenot S, Muller E, Nadalig T, Pangi M, Penny C, Peyraud R, Robinson D, Roche D, Rouy Z, Saenampechek C, Salvignol G, Vallenet D, Wu Z, Marx CJ, Vorholt JA, Olson MV, Kaul R, Weissenbach J, Medigue C, Lidstrom ME. Methylobacterium genome sequences: a reference blueprint to investigate microbial metabolism of C1 compounds from natural and industrial sources. Development of a broad-host-range sacB-based vector for unmarked allelic exchange. Chain PSG, Denef VJ, Konstantinidis K, Vergez LM, Agulló L, Latorre Reyes V, Hauser L, Córdova M, Gómez L, González M, Land M, Lao V, Larimer F, LiPuma JJ, Mahenthiralingam E, Malfatti SA, Marx CJ, Parnell JJ, Ramette A, Richardson P, Seeger M, Smith D, Spilker T, Sul WJ, Tsoi TV, Ulrich LE, Zhulin IB, Tiedje JM. Burkholderia xenovorans LB400 harbors a multi-replicon, 9.73 Mbp genome shaped for versatility. Kalyuzhnaya MG, Korotkova N, Crowther G, Marx CJ, Lidstrom ME, Chistoserdova L.
Analysis of gene islands involved in methanopterin-linked C1 transfer reactions, deduction of novel C1 transfer genes, and new insights into the evolution of “archaeal” genes in bacteria. Marx CJ, Van Dien SJ, Lidstrom ME. 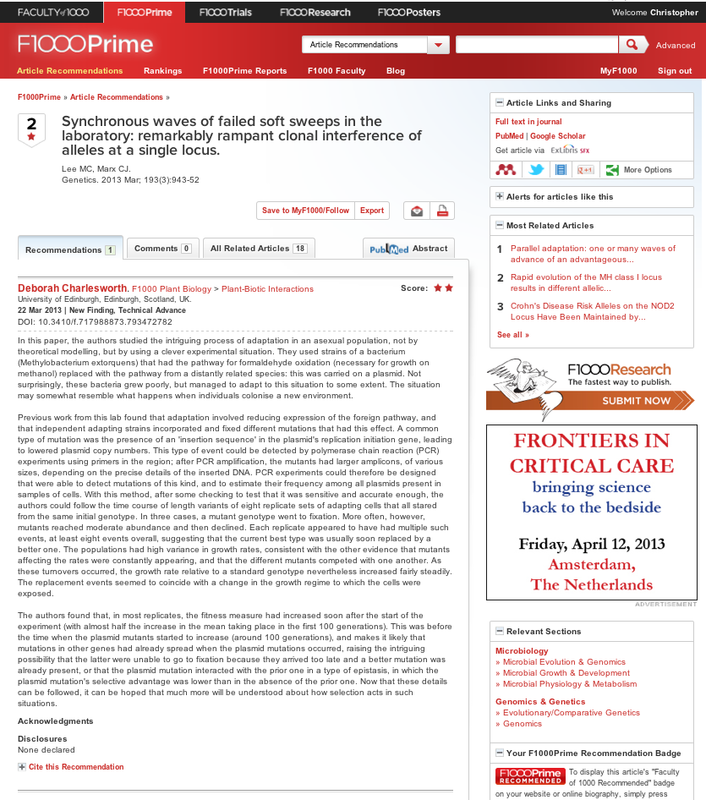 Flux analysis uncovers key role of functional redundancy in formaldehyde pathways. Marx CJ, Miller JA, Chistoserdova L, Lidstrom ME. Multiple formaldehyde oxidation pathways in Burkholderia fungorum LB400. Chistoserdova L, Jenkins C, Kalyuzhnaya MG, Marx CJ, Lapidus A, Staley JT, Lidstrom ME. The enigmatic Planctomyces may hold a key to the origins of methanogenesis and methylotrophy. Development of an insertional vector system for Methylobacterium extorquens AM1 and generation of null mutants lacking mtdA and/or fch. Van Dien SJ, Marx CJ, O’Brien BN, Lidstrom ME. Genetic characterization of the carotenoid biosynthetic pathway in Methylobacterium extorquens AM1 and isolation of a colorless mutant. Marx CJ, Chistoserdova L, Lidstrom ME. The formaldehyde detoxifying role of the tetrahydromethanopterin-linked pathway in Methylobacterium extorquens AM1. Marx CJ, Laukel M, Vorholt JA, Lidstrom ME. Purification of the formate-tetrahydrofolate ligase from Methylobacterium extorquens AM1 and demonstration of its requirement for methylotrophic growth. Marx CJ, O’Brien BN, Breezee J, Lidstrom ME. Novel methylotrophy genes of Methylobacterium extorquens AM1 identified by using transposon mutagenesis including a putative dihydromethanopterin reductase. Broad-host-range cre-lox system for antibiotic marker recycling in Gram-negative bacteria. Development of improved versatile broad-host-range vectors for use in methylotrophs and other Gram-negative bacteria. Vorholt JA, Marx CJ, Lidstrom ME, Thauer RK. Novel formaldehyde-activating enzyme in Methylobacterium extorquens AM1 required for growth on methanol. Cohen-Kupiec R, Marx CJ, Leigh JA. Function and regulation of glnA in the methanogenic archaeon Methanococcus maripaludis.